This is the May 2015 Mystery Chocolate Box, which is in itself pretty exciting. However…. there is something a little more exciting than that this month! Yay. Now, back to the May bars. We’d love to know how you liked each of these bars! Leave a comment below if you have something to say. We think this is quite an exciting bar. It’s a very robust, bursting with flavor in every bite. We find the fruity ingredient to be a perfect complement to both the chocolate (dark but not overly bitter at all) and the nuts. But of course, this being a Mystery Chocolate bar, your task is to guess what exactly the fruit and nuts are in this bar! Did you guess right? 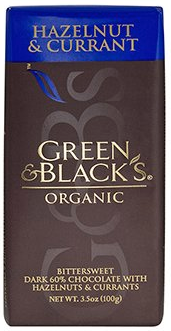 As you ate this bar, you should have noticed a tart tasting flavor along with the smooth, delicious dark chocolate. 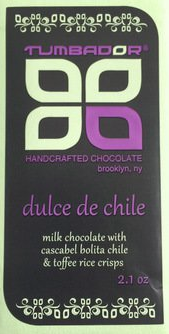 The chocolate was made from cacao beans that came from Peru, Ecuador, and the Dominican Republic. But where did the tartness come from? You probably noticed the inclusions in the bar are red, which narrows it down, but it could still be many things…so what was it? Featured in our very first Mystery Chocolate Box one year ago (Happy Birthday to us! 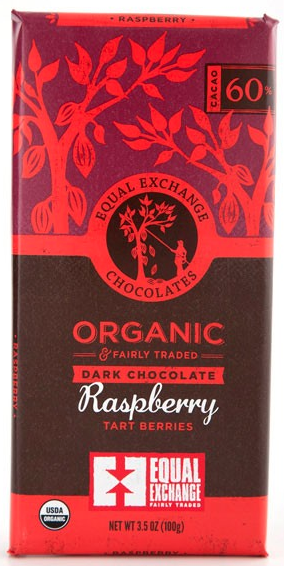 ), Equal Exchange brings us this amazing chocolate bar with raspberries. Chocolate and raspberries are an underrated combination in our books, and this bar makes the most of it. Great bar! This bar is all about amazing milk chocolate. Well, maybe not ALL about the milk chocolate…there are a couple very interesting ingredients that made this bar even tastier. There’s something crunchy and chewy, plus something that adds occasional warmth and spiciness. Tumbador is based in Brooklyn, NY and, in addition to making chocolate bars like this one for you and me to enjoy, they also specialize in making custom chocolate treats for corporations. They have a salted peanut bar that is fantastic — it’s like a Reese’s Peanut Butter Cup, but made with premium, high quality ingredients. No Replies to "May 2015 (And our 1st birthday!)"